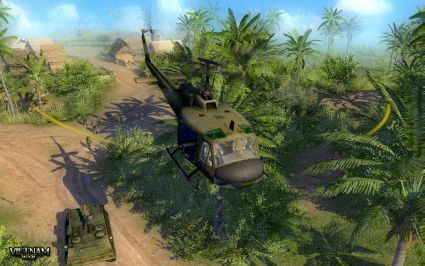 Men Of War: Vietnam features two new story-driven campaigns let you taste the explosive mix of the jungle, Hueys and rock-n-roll in 1968. Two single-player campaigns cover both sides of the conflict. The US campaign focuses on a team of elite special ops soldiers, and each one of them has a personality. This unit includes Sergeant John Merrill, machinegunner Jim Walsh, sniper Sonny Armstrong, grenade launcher operator Carl Dillan and combat engineer Bill Kirby. In some missions they can count only on themselves, while in the others they act together with regular US and South-Vietnamese troops. Missions range from special operations (rescuing a shot-down pilot, escorting a reporter, etc.) to full scale battles.